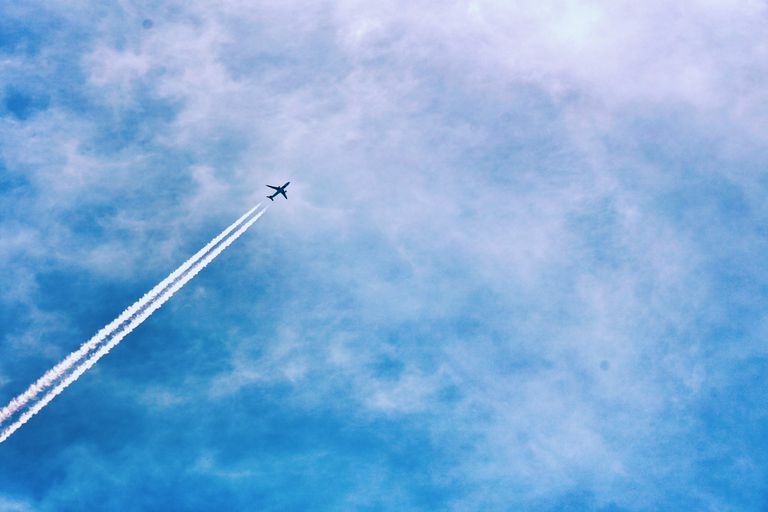 The ability to track an airplane as it travels anywhere in the world is available to anyone with an internet connection. The following websites will help you view real-time arrivals and departures at your local airport, get information on possible delays, track weather and local conditions, find parking deals, and more. FlightView gives you the option of tracking flights by airline, airline code, flight number, and by city. You can also get a quick view of departure statuses from all major U.S. and Canadian airports, weather affecting specific flights, and live in-flight flight information. You can also use FlightView to get an idea of what's going on at the airport you might be arriving or departing from, including weather, parking, and possible delays. FlightArrivals is the Swiss Army knife of online flight trackers. You can use FlightArrivals to search for both commercial and general flight information, for flights arriving at specific airports, for flights between two or more airports, airport delays, airport maps, route maps for selected airports, seat maps, model information for various aircraft, airline information, various flight-related statistics, and much more. Track flights from all around the world with FlightStats, a very useful site that in addition to flight information offers customized map overlays, weather radar, and airport information. You can track flights in real time, as well as random flights. FlightRadar24 is an utterly fascinating Web site that lets you watch live air traffic on a map. Just click on one of the small aircraft icons, and you'll get up to date real-time information: call signs, altitude, origination point, destination, speed, airline, etc. "The majority of the data displayed on Flightradar24.com and in our apps is gathered through a network of 7,000 ADS-B receivers around the world. The technology we use to receive flight information from aircraft is called ADS-B. Roughly 60% of all passenger aircraft around the world are equipped with an ADS-B transponder. In addition to ADS-B data, we also display data from the Federal Aviation Administration (FAA). This data provides full coverage of the airspace above the United States and Canada. However, this data is slightly delayed (up to 5 minutes) due to FAA regulations." Use FlightAware to track airline flights by airline name, flight number, destination, or origination point. You can also view an animated, real-time flight map, specific airport departure, and arrival activity, or see what a wide variety of airline/fleet operators are up to. "FlightAware currently provides private aviation flight tracking in over 50 countries across North America, Europe, and Oceania, as well as global solutions for aircraft with ADS-B or datalink (satellite/VHF) via every major provider, including ARINC, Garmin, Honeywell GDC, Satcom Direct, SITA, and UVdatalink. FlightAware also continues to lead the industry in free, worldwide airline flight tracking and airport status for air travelers." If you have the flight number and airline of the flight you're interested in tracking, you can simply enter this information into Google and you'll get a quick update of current flight status, when the flight arrives, where it came from and where it's going, as well as terminal and gate information.